Since 1998, Dr. Michael Czarnota has been applying the latest concussion management guidelines and research to help athletes recover as fully and as quickly as possible. Within minor professional sports, Dr. Czarnota’s knowledge, objectivity and fairness have been widely recognized and his work has been supported by several Leagues, a Worker’s Compensation carrier and the player’s union. The exceptional quality of services and the commitment to proper care has led Dr. Czarnota to be one the most experienced and trusted neuropsychology consultants in North America. What was once available to only the most elite professional athletes is now accessible to a wide range of athletes and sports through SportConcussions.com and Dr. Czarnota. 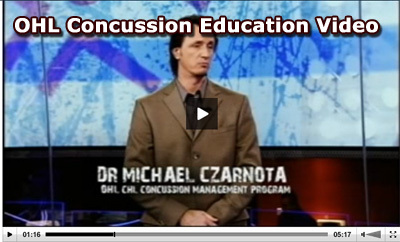 Dr. Czarnota as their sports concussion consultant.